The owners of the home we rent agreed to let us buy our own fertilizer for use on the lawn. You can read the entire lurid tale HERE. The gardeners came to fertilize a few weeks ago. I stayed at home all day to make sure I could supervise their application of the natural fertilizer I bought and nothing more. So what fertilizer did I buy? To choose a fertilizer, I turned to my amazing friend Marcie who composts all her kitchen and lawn scraps two different ways! She has taken a few classes with the county and is becoming a master composter who can teach others. So awesome. I'm not up for the worm bin yet. But she did give me some great advice about fertilizer. First she suggested lawn clippings. But since the gardeners are in love with their gas-powered leaf blowers, I doubt they'd be thrilled about factoring lawn clippings into their routine. But MH also told me about this website, which advised buying the Ringer brand of organic fertilizer. "NOFA Approved" and "OMRI Listed": The Organic Materials Review Institute (OMRI) and the Northeast Organic Farming Association (NOFA), an accredited certifying agency for the USDA National Organic Program, approve products that have been composted according to USDA Organic standards. The only synthetic materials that can be added to NOFA approved compost are those allowed in organic crop production. Ringer fertilizer is, indeed, OMRI approved, so I ordered a bag and that was that. The gardeners applied it in a most haphazard manner which will, sadly, probably contribute to runoff. I don't really care whether the fertilizer helps create a gorgeous lush green lawn or not. If it had been up to me, I would have chosen no fertilizer (or just lawn clippings). But at least I don't have to worry about my kids being exposed to the junk in regular fertilizers. 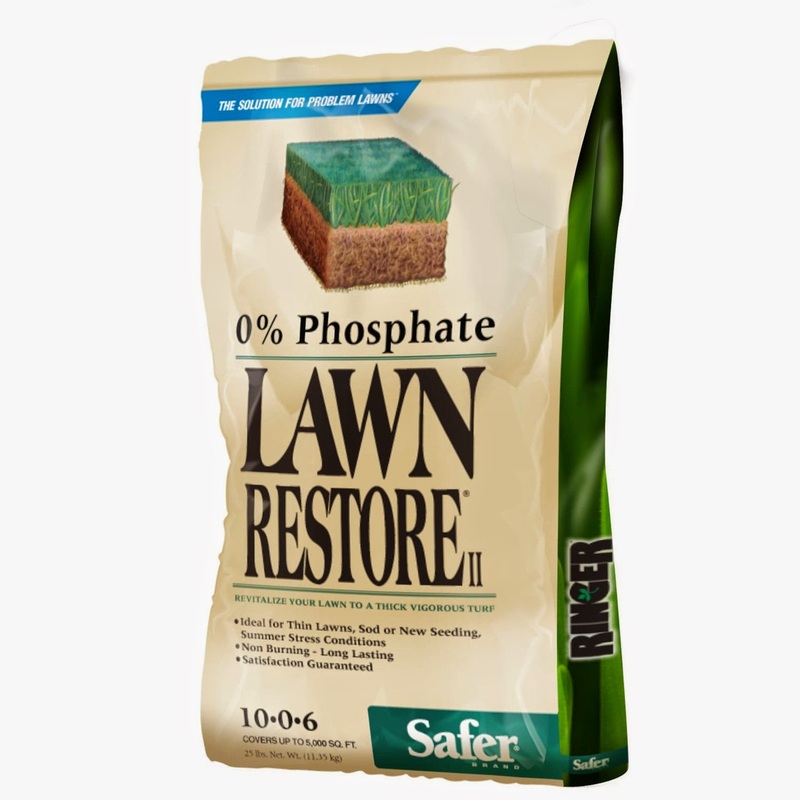 It's nice in a way that the owners of your house do some lawn care (and are willing to let you choose the products). We're completely on our own for most things! Do You Have Wall-to-Wall Carpets? Do I Need to Become Vegan to Live Plastic-Free? Goodbye, Teflon. Hello, Le Creuset.